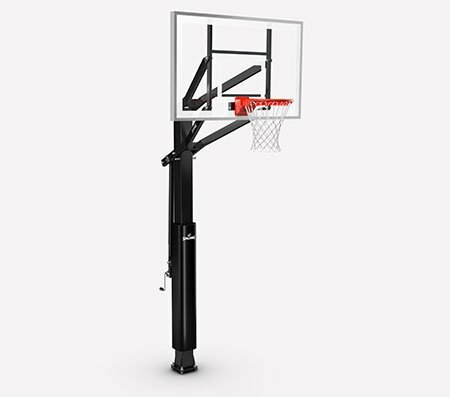 The Spalding Hercules® Exactaheight™ Portable Basketball Hoop System portable hoop system turns an empty space in your driveway into your own personal arena. 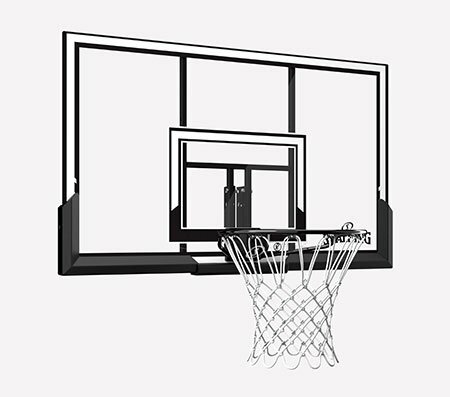 The 50" backboard comes with a board pad and a steel breakaway rim. It's made of acrylic material for a high rebound rivaled only by glass. 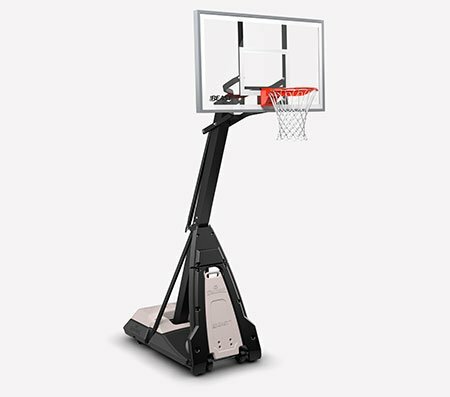 The system has an angled support pole and 16" offset, giving you room to play underneath the basket. It gets its stability from a 37-gallon base equipped with two wheels and a rebounder. Backboard size: 50" x 32"